Navigate through this guide by clicking on the pertinent tab in the range you can see above this box (below the main title of this guide). Separate guides exist which may help you further in this and related studies. The Law Bod is Oxford University's principal repository of printed sources for the history of the laws of England, and the past and present members of the United Kingdom. Manuscripts and copies of incunabula - regardless of subject content - however are in the care of the Bodleian Special Collections in the Weston Library. The Law Bod also has the principal collection for legal history research for those countries which are part of the common law tradition of law as a result of colonial history: the current members of the Commonwealth and the United States. Below are some key resources for study & research in this area: please use other pages in this guide to discover more. Free resource. Editor Paul Halsall of Fordham University.The Internet History Sourcebooks Project is a collection of public domain and copy-permitted historical texts presented cleanly (without advertising or excessive layout) for educational use. Free resource. Blog Author & Administrator: Ben Darlow LLB LLM LPC FRSA, "law graduate and currently practising Solicitor of the Senior Courts of England and Wales, with a healthy academic interest in English Legal History." Introductions to Heritage Assets series. Civil courts were originally part of the Assizes from the Middle Ages onwards, but to seek a remedy at these courts for a debt was a costly and time-consuming process. 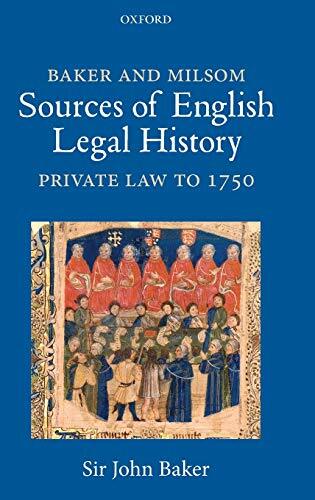 By the 16th century other more immediate forms of redress were being found via local Courts of Requests and this ad hoc system continued until the 19th century when it was replaced by the modern County Court. Another necessity was to have Coroner’s Courts to assess how someone died. This document describes the development of buildings associated with these two strands of law, from adapting existing structures to creating purpose-built courts. Click on the title link: many Oxford college libraries will have copies too. Justices of the peace -- Great Britain may well include works on the JPs pre 1707 as well as after 1801! On Floor 2 is the collection of year-books, Selden Society publications, textbooks and monographs dealing with the history of the common law, or the Anglo-American legal tradition as it sometimes called. The shelf mark begins Legal Hist. When you search SOLO for texts you may find - especially if the text is recommended on an undergrad reading list - that the location is shown as "Law Library Reserve Collection." Armed with your University Card/Reader's Ticket and desk number, please ask for these books at the Reserve Collection desk in the Reading Room and they will be issued to you for use in the Library. 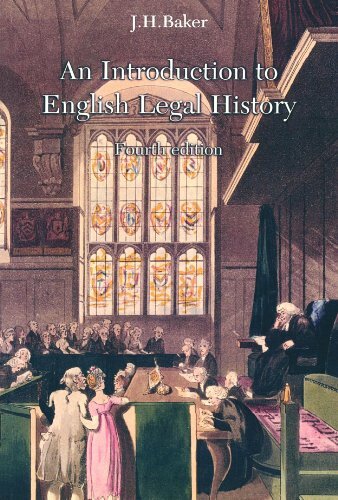 The nature of legal history studies may mean that searches in SOLO show that one or more of the Bodleian Reading Rooms also have useful titles. The Bodleian History & History Faculty Library are about 15 minutes stroll from the LawBod, back towards the city centre in the Radcliffe Camera, the Gladstone Link and the Upper Reading Room of the central/old Bod. The Vere Harmsworth Library (USA Collection) is a 15 minute walk to the north. The English Faculty & Social Science Libraries are our immediate neighbours. Opportunities to learn, meet, and network!